– Lee Kuan Yew is Singapore’s world-class asset at understanding the Chinese mind. He had once suggested to a Chinese leader in having English as the dominant language. Would China do the same? The answer was no surprise, it was no. It was unrealistic for Lee then made it clear it was a serious handicap. Imagine competing against Chinese competition when fluency in English no longer remains a key advantage. CHINA has published many books about former Singapore prime minister Lee Kuan Yew. One written by Chang Zheng in 1996 bears this interesting title, Lee Kuan Yew: A Great Man In A Small Country (Xiao Guo Wei Ren). In politics and international power relations, does “size” matter at all? Deng Xiaoping, a “five- footer”, had struck Mr Lee as “a giant among men” when they first met in 1978. 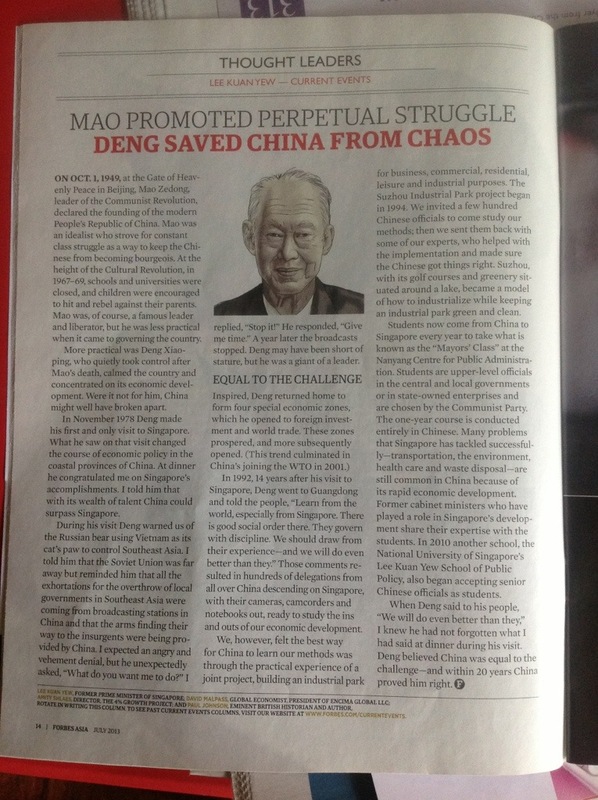 Mr Lee has since openly stated that Deng was the most impressive leader he had ever met. Viewed from a different angle, Singapore is a tiny city-state while China is a huge continental- sized country. The two also have inherent political, economic and social differences. Yet, they have developed strong bilateral relations, thanks to the efforts of both Mr Lee Kuan Yew and Deng. China announces restructuring phase to world and economic leaders. The government has been undertaking key structural reforms, such as liberalising interest rates, allowing its currency to strengthen, and taking steps to reduce its dependency on exports. China’s economy is going through a “crucial” stage of restructuring, says the country’s Premier, Li Keqiang. At the World Economic Forum in the Chinese port city of Dalian, Mr Li pledged to improve relations with foreign firms. He stressed that multinationals would get “equal treatment” with state-owned enterprises. He added that China was well-placed to hit a growth target of 7.5% this year, despite a “complex” economic climate. Please click here to read the entire article at the BBC online. Another tiger bites the dust? 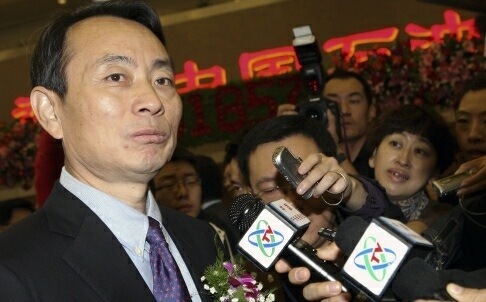 Jiang Jiemin 蒋洁敏 (here for biography) removed as head state asset regulator. A DRIVE against corruption? Or a political purge? Or a bit of both? Outside China, not many people noticed the dismissal of Jiang Jiemin, the minister overseeing China’s powerful state-owned enterprises (SOEs). His charge—“serious violations of discipline”—is party-speak for corruption. Officials at CNPC, a state-run oil giant which Mr Jiang used to run, have also been charged. But in Beijing it fits a pattern. It follows on from the trial of Bo Xilai, the princeling who ran the huge region of Chongqing and was a notable rival of Xi Jinping, China’s president. Mr Xi now seems to be gunning for an even bigger beast: Zhou Yongkang, Mr Jiang’s mentor, an ally of Mr Bo’s, and until last year the head of internal security whom Mr Bo once hoped to replace (see article). Mr Xi vows to fight corrupt officials large and small—“tigers” and “flies” as he puts it. He has certainly made as much or more noise about graft as his predecessors. If Mr Zhou is pursued for corruption, it will break an unwritten rule that the standing committee should not go after its own members, past or present. And there are good reasons for Mr Xi to stamp out corruption. He knows that ill-gotten wealth is, to many ordinary people, the chief mark against the party. It also undermines the state’s economic power. But this corruption drive is also open to another interpretation. 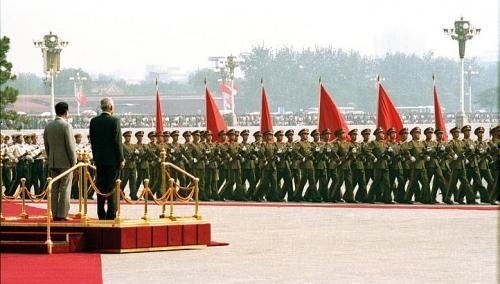 To begin with, the tigers being rounded up are Mr Xi’s enemies. Mr Bo had hoped to use Chongqing as the springboard to the Politburo’s standing committee. The verdict on Mr Bo, expected any day, is a foregone conclusion. His sentence will be decided at the highest levels of the Communist Party, and it can only be harsh. Party politics, as seen by its players, is an all-or-nothing game, and the stakes are even higher when family prestige and fortunes are at stake. Please click here to read the entire article at the Economist. Australian businesses showing the way to embrace China’s economic rise, can the politicians please catch up? Aussie business demonstrating how to leverage – China’s economic rise during its cruise control mode. More official figures from the Australian Department of Foreign Affairs & Trade on Oz trade with China here. On the other hand, read this for another perspective from Bloomberg. 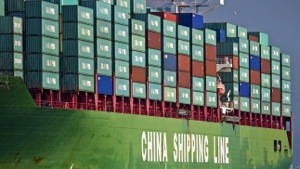 Australia has become more reliant on China as a buyer of its exports than any other trading partner in the past 63 years, surpassing the dependence on Britain after World War II. In the second quarter of 2013, China bought 35.4 per cent of all Australian exports, a new record high and more than double the level of five years ago. It is doubtable Chinese strategists are overly concerned in being drafted in to compete in this imagined superpower arena – largely a battle of capturing the imagination of the majority of mindshare as to who rules the hegemonic roost. Deng spoke of this in his address to the UN almost thirty years ago. He had a dim view of the intents of superpowers. Sensing it is more a distraction than destination the Chinese have made plain their strategies to consolidate and spread equitable development, right down to sticking to its independent foreign policy of peace (since 2003) for the next five to ten years. At least the Chinese have a working and efficient plan in place. They make it plain to see meaning it is all up for public scrutiny. In rural villages, they are summarized and inscribed onto street notice walls. It is not hard to see how problems can arise as one gets rich too quickly. I have met those who turned from sheep farmer to Land Cruiser own within the span of a few years. But lest we forget, they are the first generation of exposure to a new social compact. Perhaps the yardstick is better measured how the next line of inheritors of the Chinese legacy fare against their global peers. More and more Chinese leave the motherland to study foreign ways but tellingly, more often than not, Chinese students I meet here look forward or feel compelled to return home. Overseas, hotspots across the straits and those in the East and South China Sea are down to legacy issues conventional international diplomacy may not be be able to fix. Their outcomes may be limited in shaping or influencing domestic public opinion in the media saturation especially those with access to the digital revolution. Editor’s note: Richard Wike is associate director of the Pew Research Center’s Global Attitudes Project. Follow him on Twitter @RichardWike. The views expressed are the writer’s own. It’s not easy being a superpower, and that’s something China is learning. A few years back, international headlines featured breathless accounts of China’s economic transformation and rave reviews of the Beijing Olympics. But today, news stories often portray a country battling over disputed territories overseas, while struggling at home with vexing issues such as pollution, corruption, and political dissent. China’s power is growing, but as it assumes a more prominent role on the world stage, its global reputation is beset by a host of challenges. Welcome to the travails of being one of the big boys on the block. While China’s rise has been the subject of considerable debate among elites in recent years, ordinary citizens around the world have also taken note, and for many it’s a troubling development. Pew Research Center polling has shown that a growing number of people see China as the world’s leading economic power. Moreover, people not only see the economic balance of power shifting; many believe that in the long run, China will surpass the U.S. as the overall leading superpower. Across the 39 countries included in a spring 2013 Pew Research poll, a median of 47 percent say China has already replaced the U.S. as the leading superpower or will eventually do so. Just one third think China will never supplant the United States. But, as the U.S. has often learned, power does not necessarily generate affection. More typically, it creates anxiety. In regions throughout the world, people worry about how a superpower will use its clout and how it will behave in the international arena. For instance, our polling has consistently found majorities in most countries saying the U.S. ignores their interests when making foreign policy decisions – this was true during the George W. Bush era and it remains largely true today. Please click here to read the entire article at its CNN GPS. Filed under: Beijing Consensus, Charm Offensive, China Dream, Chinese Model, CNN, Culture, Democracy, Domestic Growth, East China Sea, Economics, Education, Government & Policy, Greater China, Hukou, Human Rights, Ideology, Influence, Intellectual Property, International Relations, Mapping Feelings, Media, Modernisation, New Leadership, Peaceful Development, Politics, Population, Public Diplomacy, Reform, Resources, Social, Soft Power, Strategy, Tao Guang Yang Hui (韬光养晦), The Chinese Identity, The construction of Chinese and Non-Chinese identities, Trade, U.S.
An Australian + Singapore perspective on the concert of nations in the contemporary multipolar status quo. Asad Latif with a book review of Australia National University Professor Hugh Whites’s The China Choice: Why We Should Share Power. WAR between America and China is a clear and sufficient danger, the Australian strategic thinker Hugh White warns in this book. Both countries are formulating their military plans and building their forces specifically with the other in mind. They are competing to garner support from other Asian countries. Ominously, they are viewing regional disputes such as in the South China Sea as terrains of rivalry. Since a major Asian war could be the worst in history, the United States – the region’s preponderant power today – should avoid the calamity. So should China, which is fast catching up with America economically and capable of translating this power into military clout. However, unlike the US, China does not see itself as the only great power in the international system. It does not seek to oust America from Asia, as America seeks to contain it in Asia. Hence, it is up to Washington to make overtures to Beijing that would prevent a catastrophic war. Filed under: Australia, Beijing Consensus, Chinese Model, Communications, Government & Policy, Hard Power, Ideology, Influence, International Relations, Mapping Feelings, Media, Modernisation, New Leadership, Peaceful Development, Politics, Public Diplomacy, Singapore, Soft Power, Straits Times, Strategy, Tao Guang Yang Hui (韬光养晦), The Chinese Identity, The construction of Chinese and Non-Chinese identities, U.S.
Coming to the age of 90 this year, Lee Kuan Yew recollects the leadership change that kept China from falling apart – and to great effect. George Yeo examines the legitimacy of leadership in the digital age. He suggests parallels between China and the Catholic world as both institutions come under increasing scrutiny with the rise of social media. George Yeo was once Singapore’s foreign minister. The hierarchical structure of leadership in China and the Catholic Church is under attack. In today’s circumstances, it is crucial to be authentic and close to ordinary people. 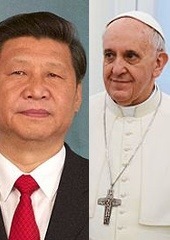 For China and the Catholic Church, moral leadership is an inseparable part of all leadership. The world needs more of that. It is unfortunate, says George Yeo, that China and the Catholic Church are still estranged from each other, given the similar challenges they face today. Please click here to read the entire article at the Globalist. Reform made of sterner stuff… crossing China’s ideological chasm from the old to new. One of the most interesting and paradoxical explanations originates with Mao, the very person who had such a destructive effect on China in the last decades of his life. 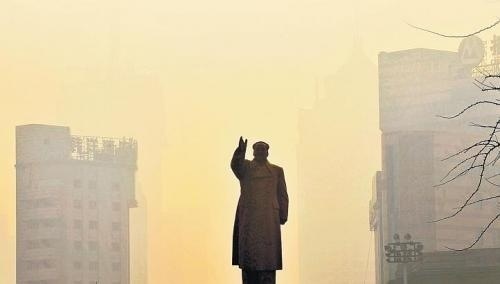 By razing the edifice of old China as relentlessly as he did, Mao may have actually cleared the way for Chinese leader Deng Xiaoping’s subsequent reforms, thereby playing a role in China’s rebirth that Mao could never have imagined while alive. By Orville Schell And John Delury for the Washington Post. IN HIS opening remarks at the Strategic and Economic Dialogue, an annual meeting between high- ranking United States and Chinese officials, Vice-President Joseph Biden spoke about his first visit to China in 1976, the year that Chairman Mao Zedong died. That was 37 years ago, when China was still one of the poorest countries in the world – even after a century of experimentation with one formula after another for making the nation wealthy and powerful again. It was by no means clear back then whether the incipient changes Mr Biden sensed would really take hold. Few imagined that by the early 21st century, China would be in a position to challenge the US economically, militarily and even in the contest for soft power. So, after spending so many generations mired in a cycle of failed reform and revolution, how did China finally manage to chin itself up into its present period of prolonged economic dynamism? Please click here to read the entire article at the Straits Times. A Rising China Needs a New National Story: The WSJ prescribing a need for China to ‘define itself with a more constructive national story’. In doing so, they identify China’s a potent motivator for its continued rise thus far – a dominant hegemonic us and them narrative that resonates across all strata of Chinese, within and outside China. Also, see the Hidden Harmonies response to the article here. 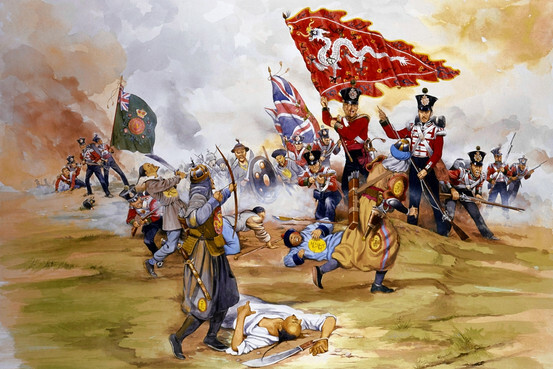 The capture of a Chinese Imperial Dragon Standard at the Battle of Chusan during the First Opium War. Painting by Malcolm Greensmith. The artifacts of China’s formative moment can be seen at the Temple of the Tranquil Seas, which sits on a narrow slice of land in the northwest part of Nanjing on the banks of the Yangtze River. It was here, in the oppressive heat of August 1842, that Chinese negotiators were forced to sit with their British counterparts and hammer out the crushing terms of the treaty. The negotiating chamber in the old temple has now been restored to something resembling its original state. A nearby exhibition covers the painful history of “China’s unequal treaties,” which imposed territorial concessions and onerous indemnities that remained in force until the 1940s. Please go here to read the entire article at the Wall Street Journal online. Filed under: Beijing Consensus, Charm Offensive, China Dream, Chinese Model, Collectivism, Communications, Culture, Education, Government & Policy, Ideology, Influence, International Relations, Mapping Feelings, Media, Modernisation, New Leadership, Peaceful Development, Politics, Population, Public Diplomacy, Reform, Social, Soft Power, Strategy, Tao Guang Yang Hui (韬光养晦), The Chinese Identity, The construction of Chinese and Non-Chinese identities, U.S.